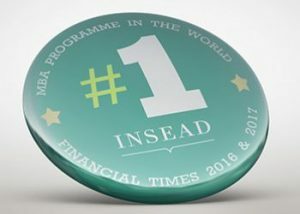 IN-BOARD provides a platform for INSEAD alumni who are in, or intend to take up a supervisory role. The initiative was started in 2009 in cooperation with the INSEAD business school in Fontainebleau and has now expanded over 6 countries, sharing experiences internationally. All IN-BOARD members have participated in a mandatory program of 3 days at INSEAD and 7 modules with our partners, preparing them for the duties and responsibilities of supervisory and advisory boards. We believe that members need to continue learning, to share knowledge and discuss their experiences in boards. Our partners support this initiative with their expertise. For this reason IN-BOARD organises the Governance Lab and Master Classes. IN-BOARD aspires to contribute to stronger and better management in companies and organisations, setting an example ourselves and improving group dynamics of supervisors and non-executive directors. More than improving governance through increased rules and regulations, IN-BOARD advocates integrity and interpersonal effectiveness of directors, with a focus on group interaction. All members have signed the IN-BOARD Code of Conduct, emphasizing their independence, responsibility and dedication. Approximately 170 alumni have qualified for the program and understand what a supervisory role encompasses. They come from diverse backgrounds as listed companies, private companies, family enterprises, government and consultancies. Many have worked in several industries. They are experienced managers, have an international outlook and can bring an extensive network into play. IN-BOARD has no commercial objective and is independent. It can facilitate in case of requests for supervisory board members. Should you wish to contact them please use the linkedin group IN-BOARD on Linkedin or contact the secretariat. If you are an alumna or alumnus of INSEAD and wish to participate, please contact the secretariat for information on dates of the program and qualification.